have to be like scaling a mountain! SO CLOSE AND YET SO FAR. Is that how many documents seem to you? Getting what you want—when, where, and how you want it—can be a real pain. 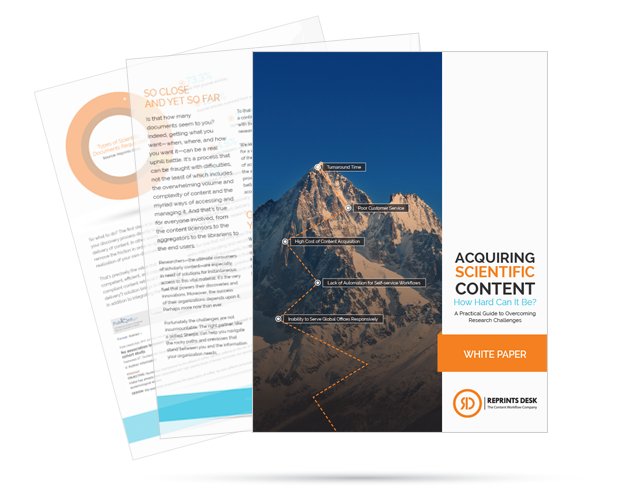 That’s why we created this concise guide to getting around the obstacles that stand between you and the information your organization needs. Download our complimentary guide and learn just how easy on-demand document delivery can be.